""We think you should go to the public school," Dad said. This was just a horrible, mean thing to say. Just hearing the words "public school" out loud made my mouth taste like urine (which, not coincidentally, is exactly how the public school smells)." David Iserson works as a film and television writer and currently writes for Fox's "New Girl." He has also written for "Saturday Night Live," NBC's "Up All Night," and Showtime's "United States of Tara "and has several screenplays in development. He lives in Los Angeles with his wife and her terrifying collection of taxidermy. 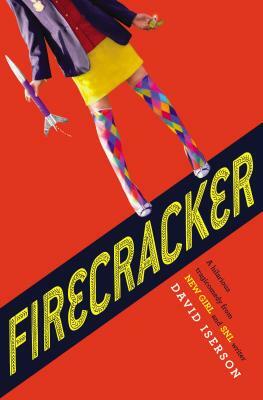 "Firecracker" is his first novel. Find out more at davidiserson.com and follow David on Twitter@davidiserson."